FUPA or fatty upper pubic area is an extremely common problem in women who have just delivered a baby or in people who are obese. It can also be genetic, though studies reveal that with a modified and low calorie diet along with the correct exercises, anyone can get rid of FUPA in a short span of time. If you too have FUPA and wish to get rid of it quickly, you need to practice certain exercises which will help burn the fat in this area and make it slim and in shape again. 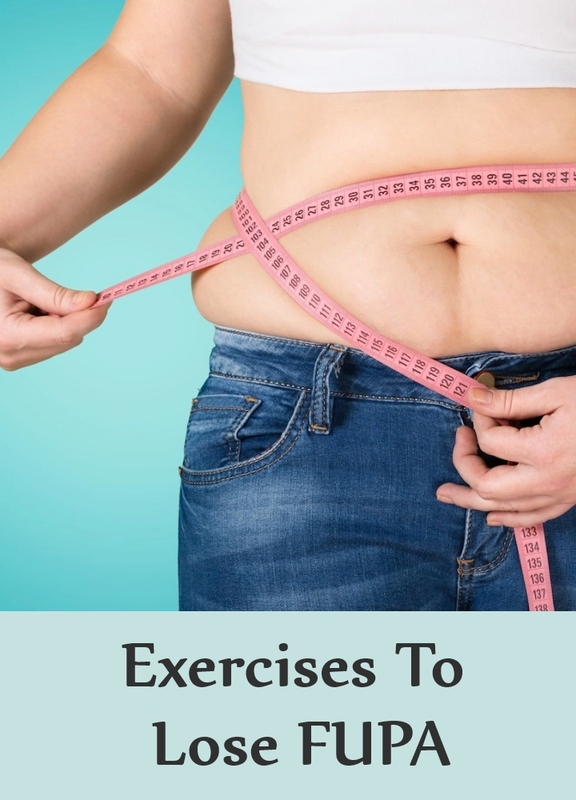 The 5 top exercises to lose FUPA are mentioned below. Lie down on the floor, face down. The knees should touch the ground and arms kept straight. Now, slowly rise upwards, taking on a push up position where your legs remain in the same line as your body. Move the left leg in the direction of the left hand so that your lower abs feels the pressure. When done take the left leg to the normal position and perform the same exercise with the right leg. Do 2 to 3 sets of 20 repetitions each for best results. Lie down on the floor while facing the ceiling. Bend your knees and keep the feet absolutely flat. The arms will remain on your sides and palms facing the floor. Tighten the abdominal muscles and lift up the buttocks with the help of your heels. The body should be in a perfect diagonal line starting from the shoulders right till the knees. Hold this position for 15 seconds and then lower down the body. Repeat this exercise 15 times and do 3 such sets. 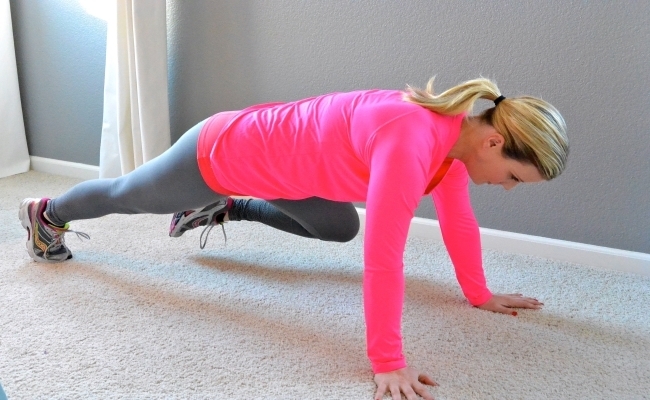 To perform this exercise you must get into the push-up position. Take the help of your forearms and toes to support your body’s weight but ensure that your body is straight at all times. When you have balanced your body in line with your toes, remain still in this position for 45 seconds. Try to increase the duration for 15 seconds more with every passing week. Perform this exercise 2 to 3 times. Lie down on the floor, facing the ceiling. Keep both your hands behind the head. Bend your knees to make them perpendicular to the floor. Now pull in both the knees together towards the chest while tightening the abdominal muscles. Stay in this position for 5 seconds. Make sure your back is fully straight. Now release the knees and then pull in again. Perform 2 sets of 15 repetitions each. Lie down on the floor in the same position as you would for a reverse crunch. After you have pulled in both the knees in the direction of your chest, tighten the abdominal muscles. Now instead of staying stationary in this position, start cycling by pushing in one leg and then another in a continuous repetitive motion similar to that of cycling. You should be able to feel the pressure on your lower abdomen. Repeat this exercise till you have completed 20 counts on each leg. Do 2 to 3 sets for best results.